Rapala: FMAG-9. For the most part this is very uncommon. But occasionally it does happen. Model : SM-X Spriggan. Type : Floating. Here at HotSpotTackle, we are all nice people and we in turn hope that all the anglers out there are nice people as well. We work with common sense, which is getting very rare in the world now. Model : SM-X Spriggan. Type : Floating. Here at Shimreels, we are all nice people and we in turn hope that all the anglers out there are nice people as well. We work with common sense, which is getting very rare in the world now. 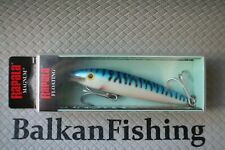 Up for sale are 2x Rapala lure. The lures are in good condition. Both Looks like new. LOOK PICTURES. Length: 11cm, 14 cm. 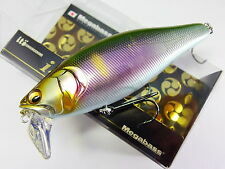 Model: FMAG 11 / 14 , Color : SM - Silver Mackrel. 2x Made in Finland. Category: Bream Bait. Bait form: False bait / bionic bait. Type: Artificial Bait. Product category: Comprehensive bait. category: Bait. Position: Ocean Boat Fishing. Product material: Lead alloy. 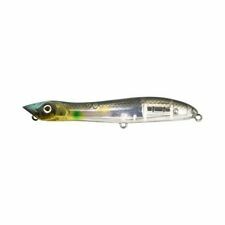 Rapala: FMAG-18. For the most part this is very uncommon. But occasionally it does happen. Maker : Shout. Model : 609-ET Entice 260. Type : Floating. Length : 260 mm. Weight : 95 grams. Here at LureCandy, we are all nice people and we in turn hope that all the anglers out there are nice people as well. Maker : Shout. Model : 609-ET Entice 230. Type : Floating. Length : 230 mm. Weight : 75 grams. Here at LureCandy, we are all nice people and we in turn hope that all the anglers out there are nice people as well. Model: SM-X Spriggan. Type: Floating. Here at Tackle Reef, we strongly believe QUALITY is key to all products. Length: 48 mm. Model: 604-EF Engra 29. Type: Floating. Length: 140 mm. Weight: 29 grams. Here at Tackle Reef, we strongly believe QUALITY is key to all products. We wish you the best of luck in your fishing pursuits. clear casting bubbles, new, 10ct, small, floats, fishing, free shipping!! 10 new smaller size casting bubbles. Water fillable. Heavy plastic, color is clear. Never used. IGFA records confirm that these are the world's number one saltwater hard bodied lure. Built to take the abuse of hard hitting fish like blues, tarpon, tuna and wahoo the Rapala Magnum CountDown is rigged saltwater tough. Sea Fishing Float Kits. 5 x Small Hi-Vis Float Kits. One 5” Sammy 128, in Bloody Table Rock Shad. 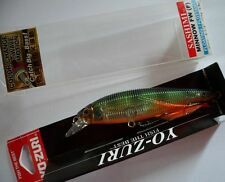 One of the most fun, and productive baits around, also great for Inshore fishing as well. 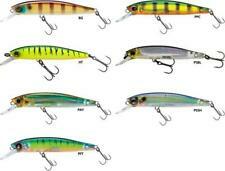 Lot of 2 Sebile Swingtail Minnow lures. Breeding Bluegill color. Floating lures. Small Rig Floats. ONLY SMALL: GREEN and PINK LEFT. Small and Large(SOLD OUT). Just buy them and I will send an updated invoice. I will need to send the invoice personally. Large: SOLD OUT. Ideal for all saltwater species. Swimming tail action irresistible to fish. Rapid scent dispersion attracts fish from greater range. Check-Out Now! John B Outdoors looks forward to serving you. Helpful Links.